Discussion in 'Falcon Crest' started by Angela Channing, Sep 10, 2018. Today (10th September) is the 11th anniversary of the death of Jane Wyman so I thought I would share a few of my thoughts and memories of her. I first became aware of Jane Wyman when I was about 10. Back then, on Monday early evenings, BBC2 (a TV channel in the UK) used to screen old Hollywood films. One week they showed Johnny Belinda, the film for which she won an Oscar, and that's when I became a fan. Although she didn't say a word in the film (her character was deaf and dumb) I thought she was really endearing and conveyed such wide range of emotions with just her facial expressions so much so it was the first film I watched that made me cry (it was the scene when she says the Lord's Prayer in sign language after her baby dies that did it for me). I always looked out for more of her films but I never saw her again until about 5 years later when I saw a trailer for a new series on ITV called Falcon Crest and on the strength of Jane Wyman being the star, I thought I would watch it. Now, if I thought she was a good actor in Johnny Belinda, her performance in that was nothing compared to her compelling performance in Falcon Crest. At this point I was already a big fan of Dallas and nothing could match the affection I had for that show but in Falcon Crest Jane Wyman had created character of such fascination that I very quickly became totally addicted to the show. She was unlike the villain in any other show because she had so much humour, so much charm and so much determination. I never so her as an evil character, despite all the wicked things she did, I saw Angela Channing as much more complex character, ultimately not motivated by greed but by wanting to carry on her family legacy by making Falcon Crest as successful as possible. It's testament to Jane Wyman's brilliance as an actress that she could make Angela so likeable. Comparing the 2 roles: Angela Channing and Belinda in Johnny Belinda, you couldn't think or 2 more different characters showcasing the versatility of Jane Wyman. Eleven years after her death, I still consider her to be one of the best actresses I've ever seen. Angela: "I've heard about your lawsuit. You'll never get custody of Joseph. It's just a ridiculous waste of time Cole." Cole: "It won't be so ridiculous when I win." Angela: "All you'll succeed in doing is in tearing this family apart." Chase: "Which is something you have already managed to do, quite well." Cole: "I would settle for joint custody. Now that won't hurt the family." Angela: "If Joseph was your son I would give you my blessing but he isn't. The child is Lances'." Cole: "I don't think even you believe that Angela." Angela looks sternly at Chase and asks him: "I suppose you are in favour of this?" Chase: "Joseph is my grandson. I'll do whatever I can to help Cole." Angela: "He is going to need all the help he can get because I will do whatever it takes to keep Joseph at Falcon Crest." Angela then walks away. Chase and Cole go towards the bottling area. Wow what a post. It is kind of sad though that Jane is seemingly underrated / not as well remembered the world over; compared to the other giants of 1980s prime time soap operas, Joan Collins and Larry Hagman. Ms. Wyman was a legend. You just didn't mention Mr. President. The other thing that she isn't really remembered for is her singing. She had a great voice. I remember reading a biography about in which it said at Hollywood parties sometimes Judy Garland would get up and sing a song for guests. On one occasion, immediately afterwards, Jane got up and sang a song and not only was she not daunted by singing after Judy Garland, Jane was easily as good as Judy Garland. She sang in a few of her films and released some records too but was never really fully appreciated as a being a great singer. Amongst her many accolades was singing an Oscar winning song with Bing Crosby (In The Cool, Cool of the Evening) and also having a hit record with him (Zing A Little Zong). My favourite song of hers is He's Just Crazy For Me which really shows how good a singer she was. 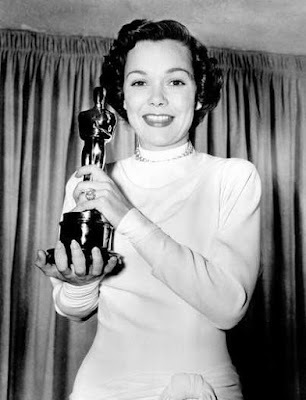 Great cherished memories of the iconic Jane Wyman. Considering how she could sing there could have been a scene or two with Angela singing a few lines, with Charlotte Pershing in the 4th season. For the fun if nothing else, after all it was Angela who made that happen for the special guest character. Jane could easily have rivalled both Ginger Rogers and Judy Garland.